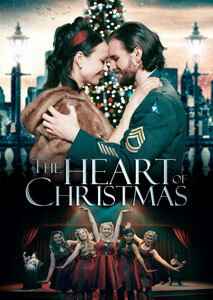 In the live musical The Heart of Christmas, you'll discover the true reason for the Christmas season. This musical production tells the life story of Ruth, an orphan survivor of World War II. After she's adopted by an American nurse and a British soldier, Ruth arrives to her new home in America. During her very first Christmas with her new family, Ruth receives a gift that would become a family heirloom—a book called The Servant King. This book recounts the remarkable story of the Persian wise man Zargon and his faithful servant, Mustafa, on their search to find the King of the Jews, who would be born in Bethlehem. Following along as Zargon and Mustafa embark on their arduous quest, you will be taken back to biblical times to experience some of the most defining moments in the history of mankind.